Smyle has appointed England 2018's accommodation and hospitality consultant David Hornby as a non-executive direrctor. 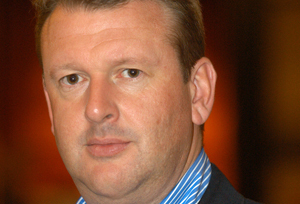 Hornby, formerly Visit London's commercial director, will provide strategic advice to help Smyle develop its business. Smyle commercial director Rick Stainton said Hornby's event marketing knowledge and expertise in major events including the 2012 Olympics would help maximise the agency's future opportunitities. "Having David come on board is exciting as Smyle sees the beginning of 2010 as a crossroads in its development with the fulfilment of a five-year plan involving progressive growth, reputation and market share," said Stainton. "Our team of 17 staff has established increasingly strong key client account relationships across a wide range of industry sectors and we have achieved a record increase in new client business in 2009, totalling more than £1m." Hornby said he was joining Smyle at an exciting time. "Smyle has shown ambition and creativity in developing its business and the team has a great opportunity in future to grow and I am delighted to help them craft this vision." Smyle has won places on the approved supplier rosters for the COI, Intercontinental Hotel Group and the Natural History Museum this year.